DIY Bug Away with Young Living Essential Oils. One of my APPA colleagues, Jennifer Mayer interviewed by New York Daily News! 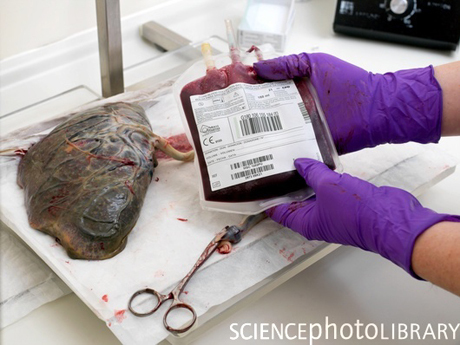 Cord Blood Banking: something to think about. When I was a bright-eyed and bushy-tailed student midwife I was awarded with a certificate and a box of chocolates. My achievement was collecting the most cord blood in the hospital. At that time the Local Health District was trialling a cord blood bank. The collected stem cells were to be used for treating leukaemia and for research. Every woman birthing in the hospital was asked to donate cord blood for the good cause, and many generously agreed. I was exceptionally good at collecting the blood. This post is a small attempt to repent for my sins. Thanks so much for sharing your experience! Just to clarify a couple of things, the cost is actually $275 when clients arrange to drop off and pick up to my location and $350 when we do the picking up and dropping off, not $400. And the tincture can be used in conjunction with the capsules or when the capsules are gone. You use the tincture for the same reasons you would use the capsules, any time of trauma, transition, hormonal fluctuations, growth spurts for babe, milk supply issues. I also highly recommend starting your caps or tincture again at the 3rd, 6th and 9th month to help with those times. 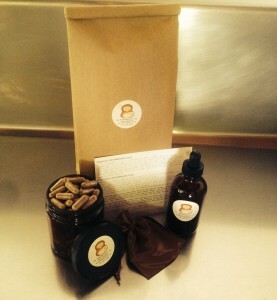 In addition to turning your placenta into capsules, I am also offering placenta tinctures at no additional fee! Placenta tincture is an added bonus in that it can be used in addition to and long after the capsules are gone. By tincturing a small piece of the placenta in a high grade alcohol, you can increase the length and benefits of your placenta for both mother and child. The tincture can be used in any time of trauma, transition, emotional distress and for mother later in life during menopause and even turned into a homeopathic remedy! If you are interested in having enough placenta tincture to last the lifetime of mother and child, you can continue to add 80 or 100 proof high grade alcohol (vodka) to the bottle as the tincture is used, never allowing it to get below half full, or even better, 3/4 full. – 7 drops of tincture can be put in a glass of water and drunk by the mother during times of transition, trauma, hormonal fluctuations, etc. after her placenta pills are gone. Some women have reported using this placenta tincture to successfully treat the symptoms of postpartum depression, PMS and menopause. – 3 – 5 drops can be given in water to the child when they are sick, getting sick or in a time of physical or emotional transition. It can be given to a sibling as well but ideally, each child would have their own placenta tincture. To make into a homeopathic remedy, take the sample of the strained placenta tincture to your Naturopathic Doctor or Homeopath and ask them to make it into at least 6C potency remedy for you or follow the directions found here to make the remedy yourself. I have also recently found a homeopathic lab in England who will make individual placenta remedies for people. If you are interested in that, I can send you their contact info and some general prices. Once the tincture is diluted down to a homeopathic potency, it will be a constitutional remedy for the baby throughout her/his life. It could be used for many/any constitutional or unusual ailments except when a specific remedy is more appropriate (example: arnica is specific for bruising). The placenta contains all one’s strengths and weakness so treating the child with this remedy will provide balance when there is imbalance. It is like their personal reset button. 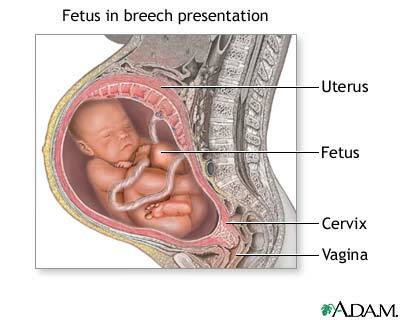 Recent research offers a more accurate method of approximating gestational length. In 1990 Mittendorf et Al. undertook a study to calculate the average length of uncomplicated human pregnancy. They found that for first time mothers (nulliparas) pregnancy lasted an average of 288 days (41 weeks 1 day). For multiparas, mothers who had previously given birth, the average gestational length was 283 days or 40 weeks 3 days. To easily calculate this EDD formula, a nullipara would take the LMP, subtract 3 months, then add 15 days. Multiparas start with LMP, subtract 3 months and add 10 days. The best way to determine an accurate due date, no matter which method you use, is to chart your cycles so that you know what day you ovulate. There are online programs available for this purpose (refer to links in resources section). Complete classes on tracking your cycle are also available through the Couple to Couple League. One of the most vital pieces of information to know when you are expecting is that ACOG itself (American College of Obstetricians and Gynecologists) does not recommend interfering with a normal pregnancy before 42 completed weeks. This is why knowing your true conception date and EDD is very important; if you come under pressure from a care provider to deliver at a certain point, you can be armed with ACOG’s official recommendations as well as your own exact due date. This can help you and your baby avoid much unnecessary trauma throughout the labor and delivery. Remember, babies can’t read calendars; they come on their own time and almost always without complication when left alone to be born when they are truly ready. 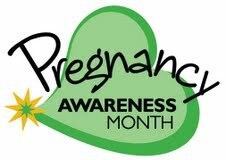 Declared and founded by author & holistic lifestyle expert Anna Getty, and co-founded by LCSW & mompreneur Alisa Donner, May 2010 marks the 3rd year of Pregnancy Awareness Month™ (PAM). Through PAM, Anna & Alisa aim to empower pregnant women and new parents with information, “how to” ideas and inspiration to incorporate PAM’s four key initiatives – education, exercise, nutrition & wellness and nurture – into their life routines and to show how easy it can be to make healthy changes in their lives, for themselves, and their children. PAM 2010 officially launches again this May with an inspiring FREE lifestyle event celebrating the four initiatives of our month-long campaign, in partnership with TreePeople, come on out and enjoy the fun! “Motherhood Begins Now, Celebrating Motherhood & Mother Earth” will be hosted by PAM founder Anna Getty , Ricki Lake, Catherine McCord, Josie Maran, and Trista Sutter at TreePeople off Mulholland Drive in Coldwater Canyon Park (free shuttle parking at Harvard Westlake). Attendees will be invited to participate in panel discussions with pregnancy, child development and green lifestyle experts including reknowned pediatrician Dr. Alan Greene, author/filmaker Ricki Lake, actress Joely Fisher, and authors Elizabeth Rogers and Kim Barnouin. A fabulous Pregnancy Fashion Show produced by Expecting Models will open with Grammy award winner, singer, songwriter, and the voice of Creed, Scott Stapp performing an acoustic rendition of “Arms Wide Open.” Take a nature hike with mommy fitness expert Lisa Druxman or learn from Treepeople experts on planting, water conservation and more. Ecostiletto & Bash Eco Events presents the Holistic Mommy Lounge Spa for your pampering pleasure. Enjoy tons of non-toxic toddler activities presented the Hot Mom’s Club. Of course our sponsors & partners will have a focused area offering mommy-related & green product education and shopping! Our day kicks-off with Trista Sutter & Jessica Denay’s book signing for The Hot Mom to Be Handbook at 1pm sharp! (there is free shuttle from the Harvard Westlake parking lot, allot for extra time) See you there!! Stay tuned as each week of May will be devoted to one of the topics below challenging expecting women and new parents to make time to do something for themselves each week. This information will be provided each week during the month of May via our weekly Twitter Parties & RadioBlogShows, Anna’s “PAM’s Blog” and our Online Newsletters directly to PAM participants. Click here to sign-up to participate! Facebook Fan Page Contest & Sponsor Giveaways! Become a fan of Pregnancy Awareness Month on FB to stay on top of the happenings. We’ll be giving away prizes and sharing life-changing information. Pregnancy Awareness Month Internet Radio – LIVE BROADCASTS and podcasts on topics close to the heart for pregnant and newly parenting women and families. Stay tuned for broadcast details and dates. Anyone can listen and call-in. Don’t forget to follow Anna on PAM’s Blog and sign up for our online newsletter. Click here to find out more! PAM’s Four Motherhood Begins Now events for 2010 – Check out an event near you! PAM is grateful to our wonderful sponsors. Contact us to learn more about being a PAM partner/sponsor.